I know, I know, I haven't blogged since January. Where does the time go? This morning I had an urge to visit my blog and saw that it was still in winter mode with snowflakes and ice blue colors. Can't have that when we are celebrating Memorial Day. So now we are all ready for the summer with pink gerber daisy's...my favorite flower! It was because the graves of soldiers were decorated with flowers. I had no idea until I was planning a lesson on Memorial Day for my 3rd graders. One of my favorite things about being a teacher is that I learn something new every day too. 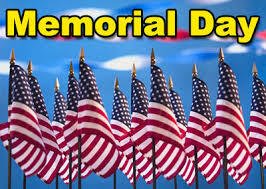 Be sure to take the time to remember those who have served and are serving so that we can enjoy our freedom.